Transportation in every way, that’s what Uber sets aim at, so alongside of getting you to and from work, or delivering your orders and food, Uber is now looking to arrange your full travel plans. Will Uber Travel work? Uber is about much more than providing rides in cars, it thinks of itself as a transportation company that deals with logistics of things and people. And that would obviously include travel. Yes, you read that correctly. Uber is launching Uber Travel. Indeed, it is what it sounds like. 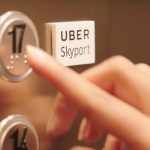 Uber Travel will facilitate getting you from location A to location B, but not just with Uber rides, also with flights and hotel or even an AirBnB address. For this, Uber will work together with airlines, of course. One of the major benefits, as TIME reports, should be that once all the data about your trip is collected, Uber intents to notify you when it’s time to call your Uber driver. That’s after it’s taken into account whatever time was needed to get you through customs and collect your baggage. It sounds interesting, but I’m just wondering why they couldn’t just have the platform take care of that for you. I don’t mean to sound lazy, but why do you still need to make the phone call. You already booked Uber. Uber wants to be able to trace when your plane has landed to calculate the right time for you to arrange the last details of your Uber ride ready, but in my experience that is usually a problem. Someone, not an Uber driver, once picked me up at Newark International. My flight was delayed, which luckily was already known before I left, so I could let him know ahead of time. The delays just got worse along the way. Getting off the plane, I couldn’t get a connection with any of the phone services. At customs, which took over an hour, the phone wasn’t allowed to be on and while getting my bags I got an extra security check. All the while, someone was still waiting for me and I had no way of reaching him until I finally got a very weak reception outside. Honestly, if Uber wants to make something really perfect. I think I wouldn’t want to get a text message reminding me that I have to get my Uber ride by now, I would just want the car to be there, or get there any minute.